Estuaries are very productive ecosystems, where the distribution of sediments and fauna are driven by environmental parameters as speed and direction of the wind, river discharges, precipitation among others. These ecosystems provide important ecological services, as a food source through fisheries, but different human activities like recreation and transport have compromised their ecological integrity. Trawling fisheries has been recognized as one of the most harmful and widespread activities affecting seabed habitats and fauna, however, are widely used in shrimp fisheries. These gears promote sediment resuspension; affect nutrient cycles; cause mortality of non-target species, being the most worrisome the mortality of juveniles of fish and crustaceans as well as of fragile species like turtles and rays; (see Kaiser et al., 2006, 2016; Collie et al., 2016;Sciberras et al., 2016; Hiddink et al., 2017). In some places there have been calls to ban these activities, for example, the European Parliament forbid to trawl in deep-sea habitats, but these fisheries are still in use in almost all the world. Trawl fisheries are practiced in small-scale or artisanal fisheries near the coast and in estuaries, and at large-scale or industrial fisheries farther from the coast. The main studies of trawling impacts have been focused on the industrial fisheries, being less studied the artisanal fisheries impact, even when FAO reports that almost 50% of fishes consumed by humans comes from these small-scale fisheries. A study realized in the Patos Lagoon estuary (Southern Brazil) aimed to analyze the impacts of artisanal trawling fisheries, showed that tiny animals that live above or inside de sediments, called macrobenthos, are also affected by trawl fisheries. In this lagoon the trawling fisheries are forbidden, however, are still widely used. The artisanal fishermen use some varied models of trawling nets from manual ones to otter-trawls towed by motorized boats. Each tow of otter-trawls may take from 35-60 minutes and uses doors from 12-18 kg to maintain the net opened and near the bottom. The effect of otter-trawl gears was different in places with different sediment characteristics. 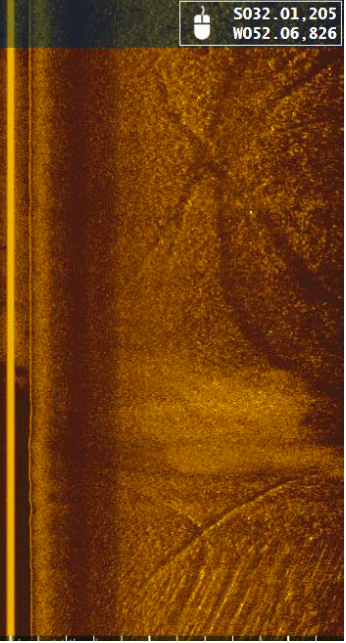 In places were sediment was muddier, the otter-trawl nets left very visible tracks as shown in the figure, and affected the abundance of some mollusks, polychaetes, and crustaceans. In more sandy sediments, the neighbor sand rapidly fill the tracks following net trawling, making more difficult the detection of the impact. However, decreases of abundances of some species were detected after trawling. Independently of the sediment properties, the impacts of these gears are more harmful in the surface sediment layer than in deeper sediment layer. This implies that the benthic fauna (which comprises important food items for fishes and crustaceans) are compromised by trawling gears, implying negative consequences for the ecosystem functioning. So, trawling activities do not affect just the target species, which sometimes are overexploited, but also affect the food for these species. These ecological impacts are particularly harmful in estuaries, which are recognized as nursery areas for many other species. Studies made with simulations of trawl impacts may underestimate the problems caused by these fisheries. However, when considering a fleet of boats, their spatial distribution and dimension the real impacts are highlighted. 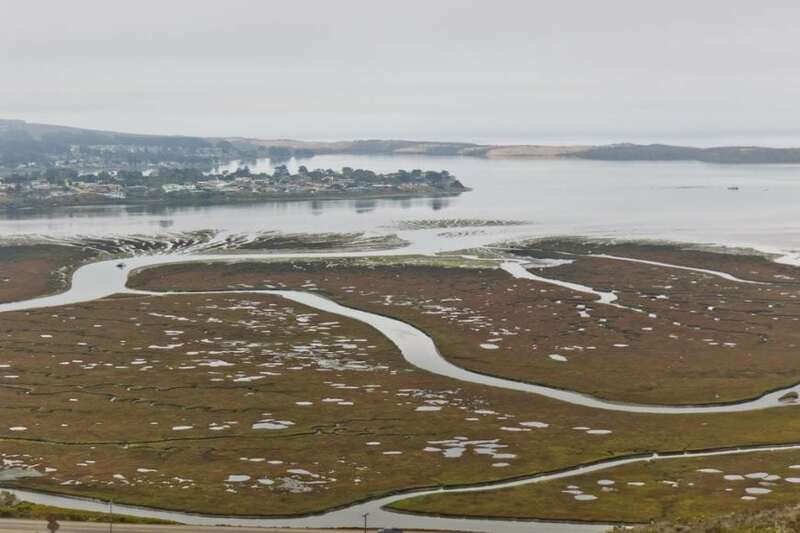 These new and amplified scenarios need to result in strategical information for addressing effective governmental policies for the protection and conservation of estuarine nursery areas. These findings are described in the article entitled Response of soft-bottom macrobenthic assemblages to artisanal trawling fisheries in a subtropical estuary, recently published in the journal Estuarine, Coastal and Shelf Science. This work was conducted by Ileana Ortega, Leonir André Colling, and Luiz Felipe Cestari Dumont from the Universidade Federal do Rio Grande. Ileana is a research scientist at the Universidade Federal do Rio Grande, Institute of Oceanography.